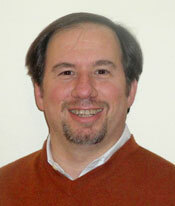 Stamford Therapist helping individuals, families, and groups. Specializing in adolescents, young adults and men in transition. I have had success helping people with depression, anxiety, interpersonal relationships, self-esteem, trauma, grief and loss. I have over twelve years of experience providing psychotherapy and counseling to adults, adolescents, children and families, in an empathic and supportive setting. My treatment approach is eclectic, using a combination of insight-oriented, family systems, and cognitive-behavioral therapies. I can help you if you are feeling stressed in your job at work, marriage at home and with your kids. I specialize in helping men balance work/life issues at home, in marriage, as well as job/career transitions later in life. I have had success helping parents deal with kids and teens. I also help boys, teens & young adults navigate through school and college with their academic & social challenges. While I choose not to be on any insurance panels, I work with clients to access their maximum benefit from their insurance company. Contact me for a complimentary phone consultation to discuss your concerns and determine if working together will be helpful for you.